Hi everyone! 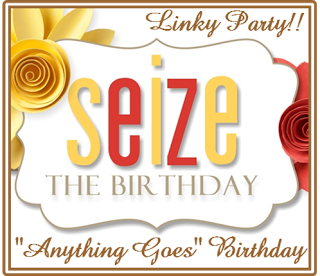 It's a new year and we are back with a new challenge at Seize the Birthday! There are no "Toppings" this week, so it's "Anything Goes" Birthday. 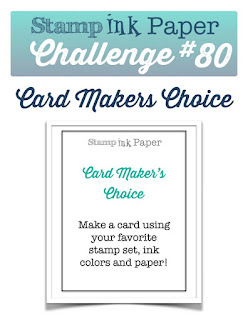 Easy peasy, and I know you want to get a head start on making some birthday cards! December was a tough month for me as my DH had some pretty serious medical problems, which thankfully are on their way to being resolved. This was the first time I'd stamped in almost a month, so I gravitated toward something most in my comfort zone: florals, and my beloved Altenew stamp sets. I chose a no-fail color combo of pinks and greens, and layered up the die cut images into a simple bouquet. It felt so good to get inky again. With all the challenges going on in my life right now I decided to take a break from the Design Team at Stamp Ink Paper. That won't stop me from playing along as often as I can, though! 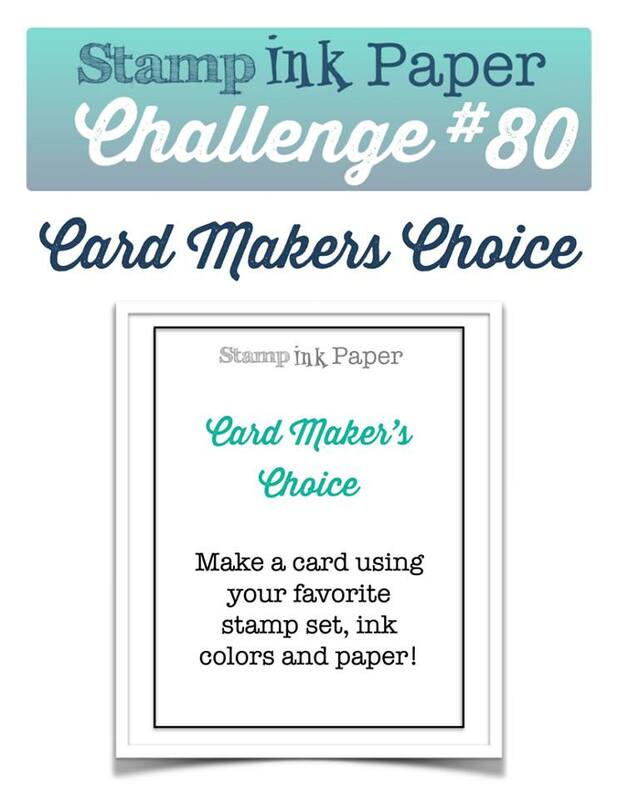 This week the challenge is Card Maker's Choice. You showcased these lovely Altenew stamps so well. I love the colors and your card. This card is Stunning!!! I am wishing I had this set as well! Sorry you have had such a time of it lately with hubby and all, but glad to hear things are improving! BIG HUGS! 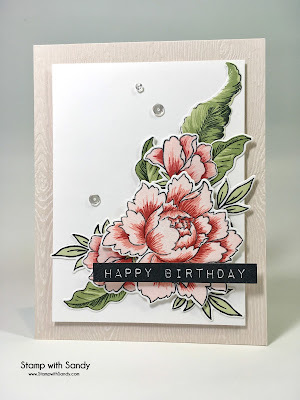 Such a gorgeous card, and one of my favourite stamp sets too! I hope your DH's health continues to improve. Beautiful card; I love the expert coloring, as well as choice of colors. This is so beautiful and your colouring is spot on! Beautiful arrangement of those gorgeous flowers, Sandy. I hope 2017 will be a more joyful and hopeful year and the health for all your family will be resolved! So sorry to hear about medical problems, but glad the they are getting improved. This is my absolute favorite Altenew stamp. You have really done a wonderful job on this too. Beautiful! I love when you make floral cards:)I'm praying your hubby keeps getting better and better! Superb! It's a fantastic set of stamps and you have used them expertly and beautifully. Glad to hear your DH is doing better. This card is absolutely beautiful - love everything about it. Happy New Year. 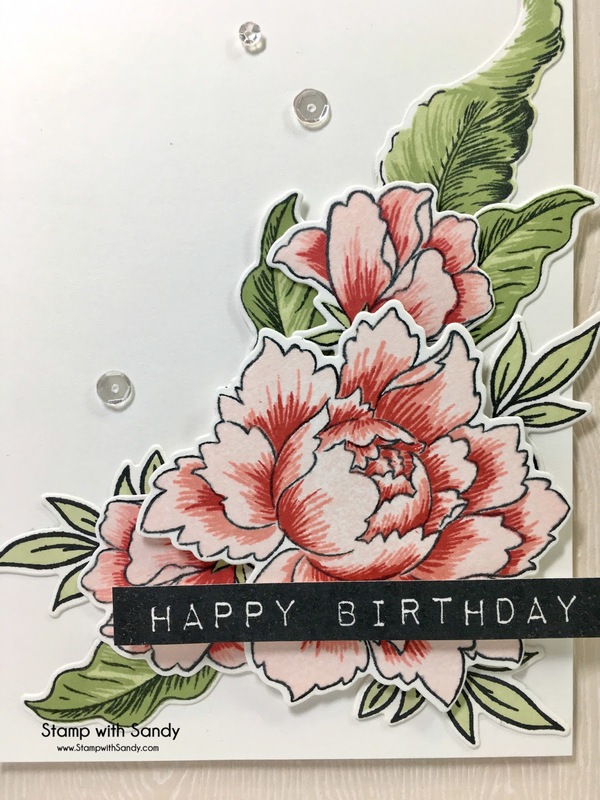 Beautiful colors on your altenew stamps, and I love the arrangement of flowers and leaves, it a lovely make Sandy! Simple yet beautiful floral card, Sandy! So sorry to hear that you had a hard time in December. Hope things keep getting better!